An upvote on Steemit.com is very different than a vote on any other social-media website. Clicking that little arrow is much more than a “Like” on Facebook or a “Heart” on Instagram. On Steemit, votes are rewarded with STEEM! In today’s Toolkit post, we’ll explain what an “upvote” actually is, where the rewards come from and and how they are distributed on the Steemit website. Where does the STEEM come from? When you upvote someone’s post - that value is not being withdrawn from your personal account. (This is a common misunderstanding.) You’re not giving anyone anything from your personal savings or STEEM Power. Instead, you’re vote is actually tapping into a brand new pool of STEEM. There’s a fresh batch of STEEM produced everyday, and it’s called the daily rewards pool. New STEEM tokens are being created all the time. The rewards pool is an amount of STEEM generated every day from inflation. Right now, several tens of thousands of STEEM tokens are being created every day (Approximagely 63,000/day. The percentage of yearly inflation shrinks incrementally as time goes on). This daily STEEM represents the pool from which your vote takes a certain amount and distributes it to where you’ve directed. What happens when you vote? An upvote on Steemit is also a tool for you to earn curation rewards. Simply put, when a post or comment is paid out a portion of the rewards is redistributed back to the people that helped generate that amount. If you upvote a post, you’re effectively helping it gain visibility and support and you’re rewarded for that curation. The earlier that you vote on a potentially successful and highly rewarded post, the more you will make in curation rewards. 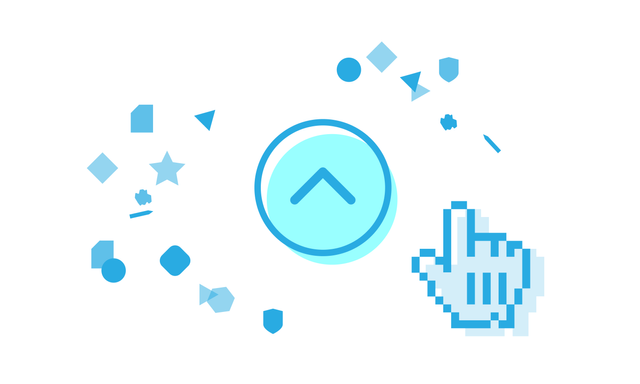 You can read more about the exact calculations of how curation rewards work here. This post received a 1.5% upvote from @randowhale thanks to @cxc! For more information, click here! Fantastic, thank you! Wonderful work spreading the word into the RU community! Thank you for another informative article! Explaining how Steemit actually works behind the scenes, to be able to reward authors and curators all while built on top of a blockchain and backed by a cryptocurrency. For newer users, myself included, understanding how this platform actually works helps us understand to properly utilize it to its utmost potential. Upvoted and resteemed to spread the understanding conveyed to more users! Thanks again! awesome work, very clear, short and sweet explanation​, really liked it, upvoted and followed, cheers . I agree the post was simple enough that i could understand it. Many thanks for the kind and supportive feedback @applesspatrick! A very useful post Sir @sndbox, before I ever thought as you said above, that the steem we give to other people via upvote will reduce the steem we are misunderstanding it missed, but now Sir, it is very helpful to me. Thank you for share this post Sir. Thanks for your support @herzaseptian! Yes, an important note - upvoting doesn't take any STEEM away you from. Upvoting is totally free! Wow, that was one of the best explanations of the topic. @sndbox, You nailed it. Accept the gift of a new follower. Resteemed! That animation is awesome! Very good for noobies to understand where does the money come from. These are some cool animations:) tip! @originalworks Again, Love this steemains work! @OriginalWorks Mention Bot activated by @karlstanley. The @OriginalWorks bot has determined this post by @sndbox to be original material and upvoted it! Thank you @sndbox for the detailed explanation, that gif makes it easy for everyone to understand how this works. I need to show this to some of my friends. Sencillo de entender, creo que visitare tus publicaciones más seguido. Saludos desde Bogotá. Gracias por el apoyo @davidongo! great work by you ....like it!! That's great to hear @topic4lunch! You bet, thanks for the kind words! Very informative post. Now after 3 days I understood the proper concept and methodology of upvoting. Thanks for detailed guidance @sndbox sir. Very well explained, sadly for a new person upvoting does not help at all and no rewards can be made, the whales get bigger and the newbies suffer! There must be some equilibrium to solve this. It is very difficult in the beginning but with a some grit and hard work, any account become more successful and impactful. Steem on! nice post and explaining curation rewards!!! Really great illustration of the distribution process. I like the animation. Thumbs up. Curious which other topics you cover in your next posts. We've still got a lot of ground to cover, stay tuned! thanks for the explanation! greetings from Brasil! Absolutely! Greetings from New York! i like the way you just explained in very short length and it is also meaningful for us .. i really appreciate you work..
it will be better for all of us when we appreciate their spirituality ..
A very useful and helpful post @sndbox, before I ever thought as you said above, that the steem we give to other people via upvote will reduce the steem we are misunderstanding it missed, but now , it is very helpful to me. Thank you for share this post . please follow and support me as well. Checking out as much guidance as possible. Very simple and functional . Ive read some about pre and post fork functions but i tend to get them mixed up . It is a tricky topic, we hope this helps. Hi all steemit friends, please follow me and like my post, i like all of you. Thank you for the clarification of the upvote. There are many here who believe it costs them to upvote. It seams all complex but this post helps. I think you should take the entire whitepaper, and explain it in a simple-to-understand fashion, because you are clearly very good at explaining things. @sndbox Well I just hit that "little arrow" because this was a really USEFUL post to people starting out on this platform. It is really important (in my opinion anyway) that everyone understand how the cogs turn and your manner of explanation was really clear, easy to understand and "user friendly" all round! Hats off to you! Thanks for the support @jaynie! Awesome thanks I did not know that, now who needs an upvote?....come here lol. Upvoted, resteemed. Informaive post, thank you! For someone new with steemit this was incredibly helpful. Brief but clear. The image was fantastic. Thanks for this, I like the crunch line especially! I also followed you, as a newbie here I like simple posts, and as a teacher I have professional appreciation of good educational material, which this is! BTW, you didn't mention 30 minutes rule. If a post is upvoted the moment of posting, 100% of the curation reward goes to the author. At 3 minutes, 90% goes to the author and 10% to the curator. At 15 minutes it's a 50/50 split. At 27 minutes, 10% goes to the author and 90% to the curator. If a post is upvoted 30 min after posting, 100% of the curation reward goes to the curator. For the purposes of this post we thought it might be burdensome and overly complicated for new users but it's definitely something to learn more about once you've familiarized yourself with the platform. Actually, I cannot consider myself as a newbie but before your post I didn't have a clear picture from where reward pool comes and how upvotes work. So it was very useful for me and I'm sure it was useful for others. Thank you very much for the post! Following. You explained something that seems difficult to understand and made it easier. I really hope Steemians know about how important a vote is, and most importantly what you upvote. One single Upvote can change the life of a Steemian Forever! It really can! That's a post in and of itself, the power and impact of a vote... thanks for sharing your thoughts on this @jonsnow1983! Clear and enlightening, thank you! But I have a concern about the reward pool and long-term sustainability. I gather the pool fluctuates with inflation and possibly with the currency market? You write "the percentage of yearly inflation shrinks incrementally as time goes on." So as Steemit users increase in number over time, won't that make the value of the pool shrink and difficult to sustain? Steem began creates new tokens at a yearly inflation rate of 9.5%. The inflation rate decreases at a rate of 0.5% per year. The inflation will continue decreasing at this pace until the overall inflation rate reaches 0.95%. Steem is a game system where users compete for attention and rewards by bringing content and adding value to the platform. The rewards people earn are tokens that have market value and are readily tradable. It is similar to how someone playing a video game could obtain a limited item or currency by playing the game. If the currency or items are transferable between users, then they can sell or buy them on game item markets. So very useful..i know steemit by my friend @albuluhi, he told me that only about having account, upvote and comment but we don't know much about it because we are beginners and never withdrawl even one time. We know steemit from friends but we have no special sharing community here. Therefore, searching out in related articles is the best way for us. How poor we are. However, we believe that what people achive on steemit could be achived also by us event though we are beginners. Now, @lbuluhi gets it much better than i am n i Will get it soon. Woow, awesome post very understanding. very good clear explanation. upvoted and Resteemed. Great info. Thanks for sharing. Following, voted and resteemed. I did not know these things: "The earlier that you vote on a potentially successful and highly rewarded post, the more you will make in curation rewards." and "When you upvote someone’s post - that value is not being withdrawn from your personal account." Thanks for explanations, it's the first post I'm reading about this. How many posts can I upvote in one day? Thanks for the explanation @sndbox. One more question, please: besides Steemit Chat and Discord, how can we promote our posts? Thank you so much for such an exalant explanation to us who do not know how it works, but now we do. Thank you for your post. Thanks @bigbear for the support! I am just starting out on Steemit so this post really helped, thanks! We're glad we can help! Thanks JV! We're called we can help. very useful information given by your side. I really appreciated your work. YOu deserved for a wonderful voting. keep it up. Your animation is great! Well done explaining too! Hey thanks for clearing that up for me it helps! I feel more informed having read this post. Keep smiling, reading, writing and voting!!! Thank you for your support @practicaleric! I'm very glad you wrote the article. Now I will think better before I vote for an article. Very good post, thanks a lot for explaining this , I upvoted you, resteemed, and I will follow, so every person who upvote can earn some steem dollars also and that is nice. I hope in the future the upvote will worth more to more people, even if someone is not earning a lot will earn, I am planing to help my followers to improve on steemit and I am sure that after one year I will earn very good money from posting ! hola desde españa una informacion muy interesante. Thanks for a simple explanation. It helped me to understand the platform. I have one more question though. Please clear my doubt about purchase. Where does the Steem come from if someone purchases the Steem using BTC? There is a definite amount of Steem generated everyday, you said. And this amount depends upon inflation. But inflation is nothing but the loss of purchasing power of a currency with time, but if Steem price keeps rising then there would be no inflation. For example it Steem reaches at $4, its purchase power is almost tripled from now, then it is not inflation right? Then won't these new tokens be generated? If someone wants to buy Steem from where would he/she buy? I guess the exchanges must be keeping the reserves of Steem.. hmm? I really enjoyed this post it was explained in a very clear and easily understood manner. I appreciate good information being new as of first post this morning new, any information I can find and cram into this head of mine is beyond appreciated. How does the STEEM blockchain verify integrity? Other blockchains (e.g. Bitcoin and Ethereum) use computer heavy mining to ensure no fraud has been committed. Well said. There are many posts each day that deserve and UPVOTE. However I try to limit the number to about 10 a day. Re-steemed so I can find it again. Thanks for this list of tools along with this vital information for steemit @sndbox. Im looking forward to applying what ive learned and hoping to see greater results in the near future. Our worst comes out when we behave like bots or professionals. oh so this is how it all works damm really nicely explained !! Hi there, I just published the German translation here! Hope you like it. Hi thanks so much. I wasn't clear about upvotes. Helps a lot. thanks for elucidating upon this,i am newly born baby in steemit so feed-back !! !regularly is needed i guess!